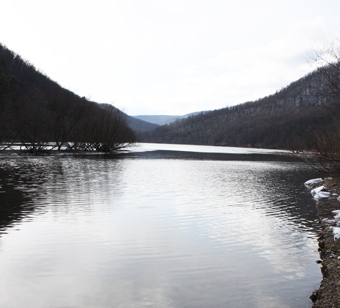 The pristine watershed of the Savage River (which does not contain coal, and has been spared the ravages of acid mine drainage) is protected by the Savage River State Forest, with 54,000 acres in central and eastern Garrett County. The forest is considered a northern hardwood forest, with about 2,700 acres designated as wilderness--the "Big Savage Wildland." State facilities include camping, boat launching areas, hiking trails, picnic areas, riding trails, and shelters. Rustic camping is provided at Big Run State Park, 300 acres on the northern tip of the Savage River Reservoir. During summer months, naturalists offer evening canoe tours ot the 360-acre Savage River Reservoir.